Pharmacy technicians use their knowledge and skills to support licensed pharmacists in providing medication and other pharmaceutical products to the general public. They work in nursing homes, retail pharmacies, hospital pharmacies, clinics, nuclear and mail order pharmacies. Some pharmacy technicians also work in non-traditional settings, such as medical insurance companies, manufacturing companies, and food processing companies. In Alabama, the majority of pharmacy technicians find employment in hospital and retail pharmacies. They perform the duties assigned by their pharmacist supervisors, stocking inventory, maintaining patient records, preparing prescription labels, preparing sterile intravenous medications and other tasks. Statewide, pharmacy technicians earn a mean hourly wage of $13.63, for new employees, and $16.25 for certified and experienced technicians. The Alabama Board of Pharmacy does not require formal education and certification for registering technicians. However, employers often make hiring decisions and determine salaries based on the prospective employee’s education and certification. 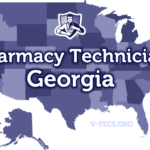 Alabama law requires individuals to submit a written application requesting registration along with the applicable fees and receive notice of registration before beginning employment as a pharmacy technician. Alabama Pharmacy Technicians work under the supervision of a licensed pharmacist and can only perform functions that do not require the professional judgment of a pharmacist. The Board will grant approval to applicants who meet the age and education requirements. The state’s requirements are not as stringent as other states. Therefore, individuals can register as technicians without having a high school diploma, formal pharmacy technician training, and national certification. After the Board grants the request for registration, pharmacy technicians must place a copy of the registration certificate on display in the pharmacy where they work. Technicians must also wear a name tag identifying their role at all times. The Board reserves the right to revoke a license or take disciplinary actions against technicians who violate federal, state or Board of Pharmacy laws. In order to maintain accurate records and receive communications from the Board, technicians must notify the Board of any name, address or changes in employment within 10 days. Pharmacy technicians must renew their registration in order to continue working. Registration expires biennially on odd-numbered years, and technicians must fulfill the Board’s continuing education requirements to maintain their licenses. Pharmacists or proprietors should verify prospective employees’ status with the Board before hiring, and ensure current employees renew their licenses on time. Alabama’s pharmacy technicians must be 17 years or older to register with the Board of Pharmacy. Those who have not completed high school or graduated from a formal pharmacy technician training program can register with the Board. Unlike other states, Alabama’s Board of Pharmacy does not require proof of formal education for registration. However, it becomes the pharmacist’s responsibility to ensure technicians secure proper training to execute their functions in the pharmacy. A high school diploma and formal training are attractive to prospective employers since it reduces the time and resources needed to train new employees. Furthermore, technicians who want to obtain national certification must supply the PTCB or NHA (both certifying agencies) with a high school diploma or GED. Applicants must respond truthfully to the criminal history questions on the registration form. Failure to disclose pertinent information related to convictions of felonies or professional disciplinary actions could lead to denial of the request for registration or revocation of the pharmacy technician license. The Board will conduct background checks where they deem it necessary – an FBI criminal background check will be conducted at the applicant’s expense and could delay the processing of the application. The goal of pharmacy technician training programs is to provide students with patient advocate, communication, and safety skills to obtain entry-level employment at a variety of workplaces, including retail pharmacies, hospitals, and nursing homes. Training programs are available at community colleges, universities, vocational schools and private institutions. Facilitators use a combination of classroom, simulated lab, and clinical experience to emphasize the preparation and distributions of medication is a safe and efficient manner. Course content covers areas, such as dispensing drugs, maintaining records, distribution of medication, labeling and filling orders, drug classification, dosage calculations, and much more. Accredited programs, such as those accredited by the ASHP, also give students the opportunity to work in at least two clinical settings in preparation for entry into the fast-paced pharmaceutical industry. Since Alabama’s Board of Pharmacy does not require formal training and certification as a pharmacy technician, the number of certified and trained technicians in the state is lower than other states where technicians must meet those requirements. Pharmacy employers set the standards for the industry, requiring new employees to have a high school diploma, formal training, and national certification. Therefore, those who take the time to complete a training program and take a national exam enjoy immeasurable benefits as they enter the workforce. There are six ASHP accredited training programs in Alabama, and a few others accredited by other agencies. The requirements for entry varies from one institution to the next. In general, applicants should have a high school diploma (or pass a reading test), pass a criminal background check, pass a TB test ad drug screen. Graduates will be prepared or success in the national PTCB or NHA exam. Pharmacy technician training programs in Alabama cost an average of $1,850 for certificate programs. Longer programs that award graduates with a diploma cost an average of $3,900 plus extra for textbooks, uniform, course materials and administration fees. The costs for criminal background check, immunization, drug screen and TB tests are conducted at the students’ expense. Financial aid may be available for qualifying students, so make sure to check with a financial aid officer to see what funding options are available. Pharmacy employers also train new employees. However, they are getting increasingly rare as pharmacy staff cave under the burden of public demands. In many pharmacies, pharmacists have to manage two to three technicians on a single shift as well as counsel patients and tend to administrative demands. These factors combined with lack of resources give employers the incentive to hire technicians who are already trained and certified. The duration of pharmacy technician training programs is approximately 8 months but depends largely on the schedule and course content. Retail pharmacy locations vary on the criteria for new employees. Some might be willing to train new employees while others require pharmacy technicians to have some experience or certification. Hospitals have higher expectations for their employees. They rarely train technicians and require them to have an extensive background and knowledge of the industry. National certifying agencies, such as the PTCB and NHA set industry standards, making it easy for employers to differentiate one prospective employee from another. State Board requirements for registration either raise or lower the standards of a majority of pharmacy technicians in each state. In Alabama, where certification is not mandatory, the ratio of certified technicians to non-certified ones is 1:3. According to the Board of Pharmacy, approximately 3,200 pharmacy technicians have PTCB certification. Certified Pharmacy Technicians (CPhT) get the best opportunities and earn a higher rate of pay than those who are not certified. There are currently more than 555,700 PTCB certified pharmacy technicians across the nation. The PTCB is the oldest certifying agency that evaluates technicians’ work readiness and commitment to public health. The Board has earned the trust of State Boards and employers alike. Continuous evaluation and upgrading of requirements serve to uplift industry standards. Currently, anyone with a high school diploma and clean criminal background can take the exam after agreeing to the Board’s policies and clearing a criminal background check. The multiple-choice exam tests candidates’ understanding of six knowledge domains. The exam is two hours long and is available at Pearson Vue centers across Alabama. The certification fee is $129, but members must renew biennially after completing the continuing education requirements. The renewal fee is $40. Pharmacy technicians must submit a written application for registration and receive notification of successful registration before they begin employment in Alabama. Applicants must be at least 17 years old at the time of submission of the registration form. Alabama’s Board of Pharmacy accepts payment in the form of money orders, bank drafts, cashier’s check, personal check and cash. Credit and debit card payments are not available. Download and fill out the application for registration. Respond to all the questions on the form. Provide accurate answers and include supporting documents where necessary. Include a copy of your drivers license and birth certificate. Enclose the $60 application fee. Do not mail cash. Notarize the form before mailing the application to the Board. If you have criminal convictions, make sure to include supporting documents like police reports, court documents, etc. The Board requires 2 to 4 weeks to process the application. Pharmacy technicians must use the online Change of Status form to notify the Board of changes in address, name or place of employment. After the initial registration, pharmacy technicians must renew their licenses biennially. The renewal period begins on October 1 and is null and void on December 31 of the expiring registration year. Following are the steps for renewal. Download and fill out the technician renewal form. Enclose the renewal fee of $60. Include details of your continuing pharmacy education hours – 3 hours for every year. Notarize the form before mailing to the Board. A $30 penalty will apply to all applications submitted after the renewal deadline. Pharmacy technicians licensed in other states must submit an application for new registration to the Board. 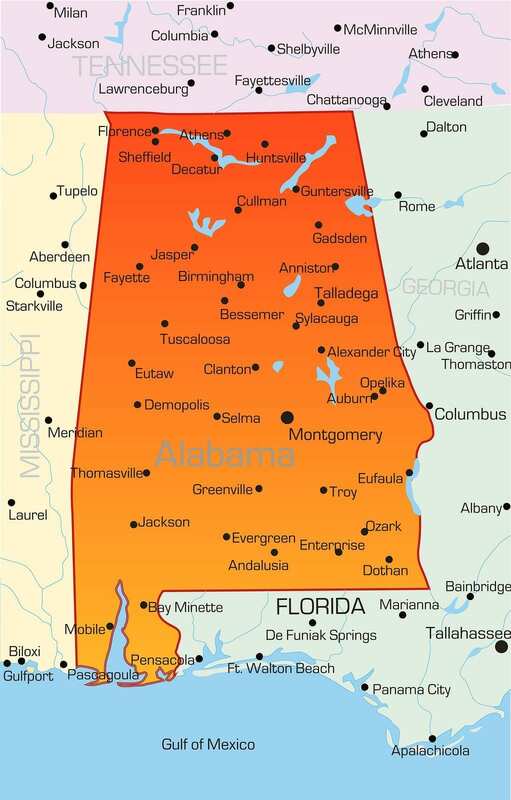 They must fulfill all the requirements for new registration to obtain the Board’s approval to work legally in Alabama.